OPPO has launched the first phone in its brand new ‘K’ series of smartphones — the OPPO K1 — and it comes in at a price of Rs. 16,990, competing against the likes of the 6GB ZenFone Max Pro M2, and the Redmi Note 6 Pro. So what’s the phone like, and what does it bring to the table? Here’s a quick first look at the brand new OPPO K1. OPPO K1: What’s in the Box? One of the most striking things about the OPPO K1 is the design. The phone comes in a good looking bezel-less design, with the teardrop notch, which is definitely one of the best implementations of the notch. The chin is pretty thin as well, which is definitely an added bonus. 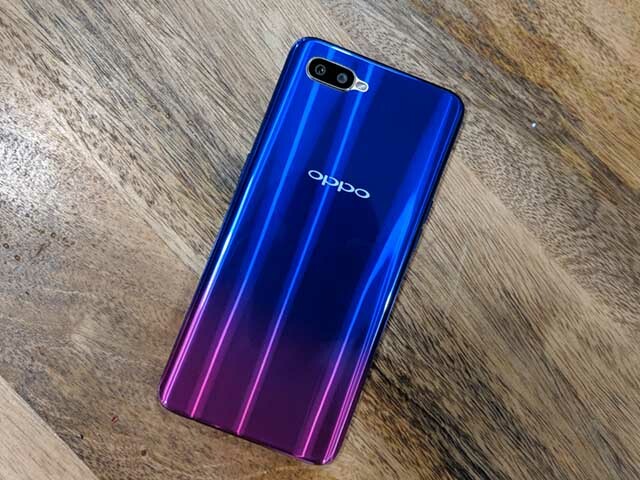 On the back, the OPPO K1 comes with a gradient design, and is available in two color variants: Piano black, and astral blue. OPPO hasn’t gone the ‘subtle’ way with the gradient on the K1, and it definitely stands out among other phones. Apart from that, the OPPO K1 has all the regular things you’d expect from a smartphone — there’s a headphone jack which is definitely a welcome addition, and the phone doesn’t seem to be missing out on anything. The display is where the OPPO K1 really stands out as compared to the competition. 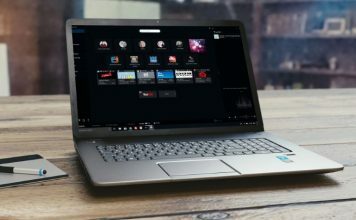 The phone comes with a big 6.41-inch Full HD+ display, and it’s an AMOLED panel, which is something you won’t find in other phones in this price range. Apart from that, the display gets quite bright, and thanks to the fact that it’s an AMOLED panel, it’s contrasty and has punchy colors. OPPO is also using Gorilla Glass 5 on the OPPO K1, which means the K1 should not scratch easily. Plus, most phones in this price range come with Gorilla Glass 3, and the K1 definitely has an advantage in that regard as well. 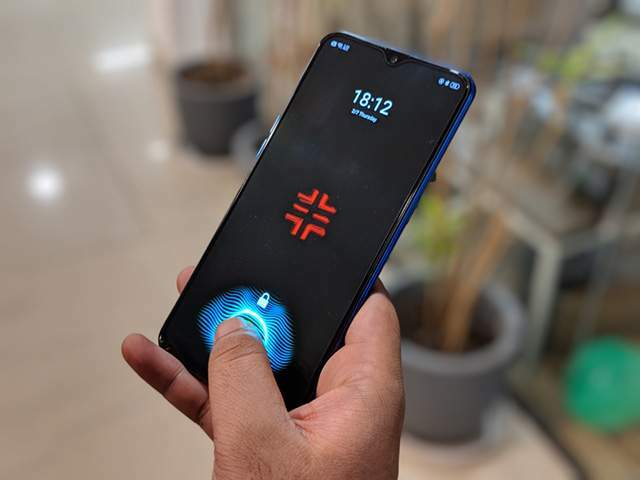 The most exciting thing about the phone, by the way, other than the AMOLED display itself, is the fact that there is an in-display fingerprint scanner in the OPPO K1. Yeah, the K1 is the first phone to feature an in-display fingerprint scanner in this price bracket, and that’s definitely very exciting. 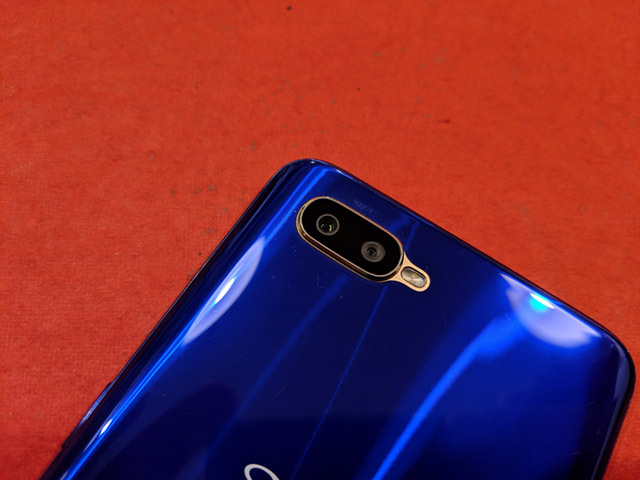 In terms of optics, the OPPO K1 has a total of three cameras adorning its body. There’s a 25MP front facing camera with an f/2.0 aperture for all your selfie needs, and on the back, you’ll find a 16MP + 2MP dual rear camera for taking all sorts of pictures, including, yes, portrait mode. 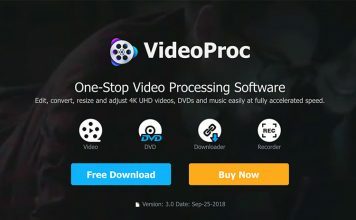 The camera app is pretty feature-rich, and comes with things like support for lighting effects in portrait photos to give your photos a unique look, a dedicated mode for shooting time-lapses, and more. While we’re still testing the camera out thoroughly, at first look, the pictures from the OPPO K1 do look pretty good. However, we’ll reserve our judgement until after we’ve fully tested the cameras on the phone. The OPPO K1 comes with the Snapdragon 660, paired with 4GB of RAM, and 64GB of internal storage that’s expandable to up to 256GB with a microSD card. Performance wise, the phone seems good so far, with no visible issues in normal usage. Although again, I’d like to stress that we’ve not yet tested it thoroughly and we’ll reserve our judgement until after we’ve used the device extensively. Still, as a first look into what we can expect from the K1, the phone does seem to perform well enough, and considering it’s powered by a Snapdragon 660, the performance should be good enough anyway. Anyway, the phone is running ColorOS 5.2 based on Android 8.1 Oreo, and ColorOS is still what it is, a very heavily skinned, but feature rich flavor of Android. The OPPO K1 comes with a 3,600 mAh battery, which is not the biggest battery in its segment, but it should prove enough for a single day of use. Plus, the company is packing a 10W charger in the box, so the smartphone should charge up decently quickly too. Anyway, the OPPO K1 has been launched in India at a price of Rs. 16,990, and it definitely looks like a phone that can give a really strong competition to other phones in the price range. The phone will go on sale from February 12 on Flipkart. So what do you think about it? 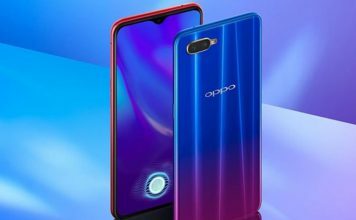 Are you thinking of buying the OPPO K1? Let us know your thoughts in the comments below.